I’ve been asked lots of questions about helmets, so I’ve compiled a little “Helmet FAQ” – Although it’s not a true FAQ as I have left out the questions and just given the answers. Size: If your helmet doesn’t feel quite right it may be due to a couple different factors. Many helmets also have a dial in the back where you can adjust the inside around the crown of your head. 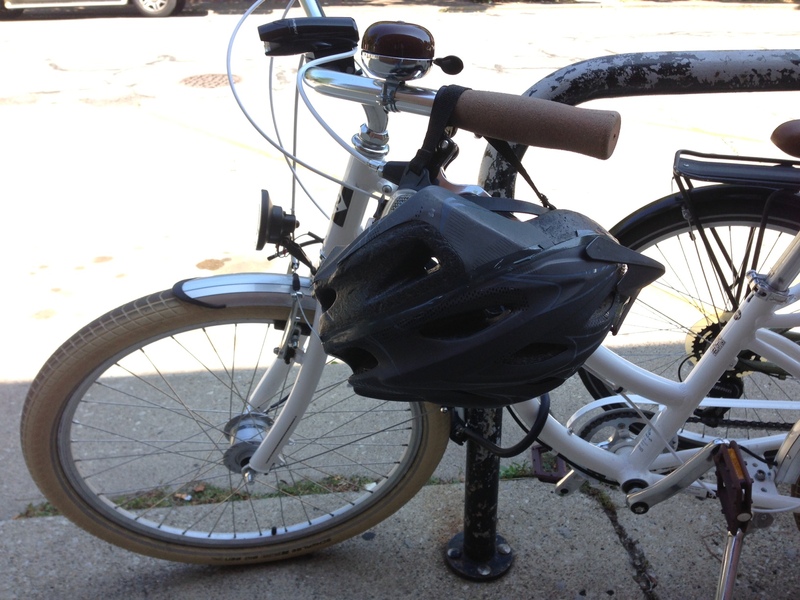 If that doesn’t work, your helmet may not be the right size (yes, helmets come in sizes). For an exact fit, you can measure the size of your head. Once you have a helmet, pads may be used to fine tune the fit of the inside of the helmet. Price Point: Recent research shows that more expensive helmets don’t necessarily mean more protection. All helmets sold in the U.S. must meet be approved by the Consumer Products Safety Commission (CPSC) which should be indicated on the helmet. No matter what the bargain, as long as they are CPSC approved they will work just fine. The price will go up if you want certain styles, more ventilation, aerodynamics, or other factors. Replacement: Be sure to replace your helmet immediately if it’s been involved in an accident, even if it’s not cracked. If it hasn’t, the general rule is to replace it after 5 years (I’ve heard as early as 3 years) given that the sun and other elements will wear it down. Cool Helmets: Want to jazz up your helmet so you don’t feel like a doorknob? Check out fun and funky helmets by Nutcase or my dream helmets: the Lenox by Bern or one of these by Sahn. I think either would be a perfect complement to my Yuba Boda Boda. Swapping Helmets: There are a variety of helmets out there – football, motorcycle, military, etc. Will it protect you on your bike? Maybe. 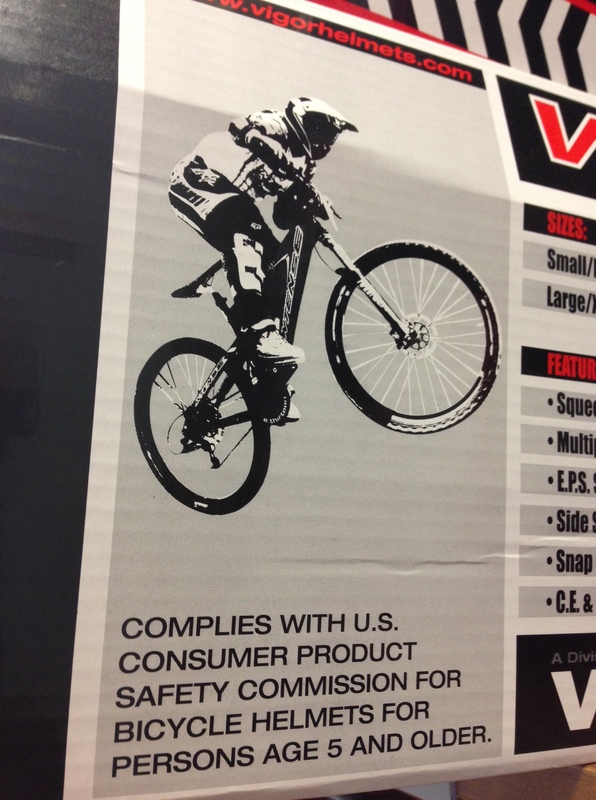 Before assuming that your helmet will protect you, make sure it is CPSC certified. When it doubt, just purchase a helmet made for the activity you are doing. There’s no sense in risking it. Helmet Laws: In many states wearing a helmet is not the law. To find out if you are required by law to do so, check here: Helmet Laws. If you’re like me you may find yourself confused when you notice most advocates are not pushing helmet laws. Now I understand that it’s imperative that we invest in safe cycling overall. The fewer accidents, the less dependence on helmets. This is also why you’ll notice so many people going sans helmets in countries with adequate cycling infrastructure.